Once a fisherman was sitting near the seashore, under the shadow of a tree. Suddenly a rich businessman passing by approached him and enquired as to why he was sitting under a tree not working. To this the poor fisherman replied that he had caught enough fishes for the day. Hearing this the rich man got angry and said: Why don’t you catch more fishes instead of sitting in the shadow wasting your time? Fisherman asked: What would I do by catching more fishes? Businessman: You could catch more fishes, sell them and earn more money, and buy a bigger boat. Businessman: You could go fishing in deep waters and catch even more fishes and earn even more money. Fisherman: Isn’t that what I am doing now? Moral – You don’t need to wait for tomorrow to be happy and enjoy your life. You don’t even need to be more rich, more powerful to enjoy life. LIFE is this moment, enjoy it fully. 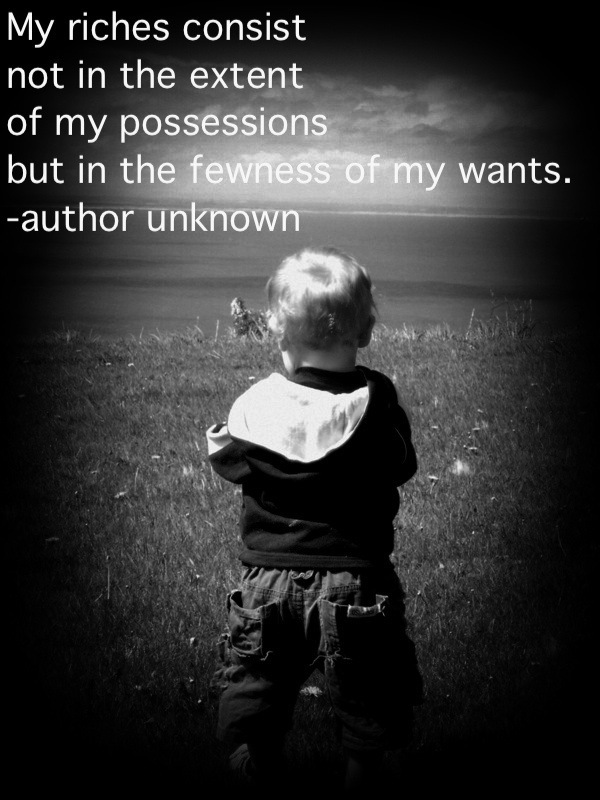 As some great men have said “My riches consist not in extent of my possessions but in the fewness of my wants”. How do you make the most of your life in this moment? I would love to hear from you! I would be happy to give credit to whom credit is do. If you know the origin of this story, please let me know. Love this story! Such a great message behind it!! Thank you. I agree, we can easily get consumed with the idea of success and forget to actually live and enjoy the moment.